It looks like I’ve taken the Fall off from writing. But, even though the writing has been slow the thinking has been high. Also, pictures are slow to acquire. Nobody wants to read posts without good pictures. Fall has been somewhat productive. I have had the Gheenoe on the water several times. I am very happy with how that project is going. With the 15hp, it is running 26 wide open with the tide. Around 20-21 with a 2nd person. I am considering repropping it to gain a couple mph when loaded. I need to do a little more testing before I make that call. I didn’t get to take the boat out rail bird hunting, nor did I get to take it duck hunting during either the first or second split. It was ready, but for some reason I hadn’t been thinking about it. It seems that it will take some time for it to sink in that I have a functioning boat. My brother in law came down from Md for a weekend visit. We were able to get the boat out for some perch fishing. We caught enough for a small fish fry. Perch have to be the most underrated food fish of the Chesapeake. I look forward to being able to chase them from the Gheenoe this spring on their spawning run. Something I have wanted to do for a number of years. I rode up to Maryland for a quick 1 day hunt during early muzzleloader season. I am very fond of this quick 3 day season in mid October. Where I’m from in southern Md is truly overrun with deer. The last 3 seasons I have taken two deer home to fill my freezer. This season it was a very small 3pt buck and a larger doe. This is what my family subsists off of for the rest of the year. It’s more of a meat run than a time to enjoy. I very much enjoy it, but it’s a fast, light trip with not a lot of time for rest. It’s purely work to make meat for our year. It takes me 4 days to harvest, butcher and process these two deer. It’s a labor of love. It’s hard not to think of the year starting in November, ending the following October. Our year starts with a full freezer. As I learn the landscape and my club lease lands in my home county of Va, I am zeroing in and starting to see deer. Our muzzleloader season starts the first Sat of November and runs for two weeks. Deer dog hunting is the main way to modern firearm hunt here, so I consider muzzleloader hunting season “the” still hunting season for those who aren’t serious dog hunters. And they let you gun hunt the rut. In Va, still hunting is the colloquial term for stand hunting, even though it means something else in most other places. Our muzzleoader season here was significant because I actually saw some live deer in daylight. And I passed a shot on a doe. My first shot opportunity in Virginia since I moved down three years ago. It was probably Nov 5 or thereabouts and I was hoping for a buck. Add that to a serious drag out and I let her pass. She also had a fawn with her. This part of Virginia is not in the good old days of deer hunting. Deer densities are low, hemorrhagic disease came through about 5 years ago and really hurt the population. It has not since recovered, and I would prefer she breeds again. Modern firearm, or dog season as it’s called here opened mid November. 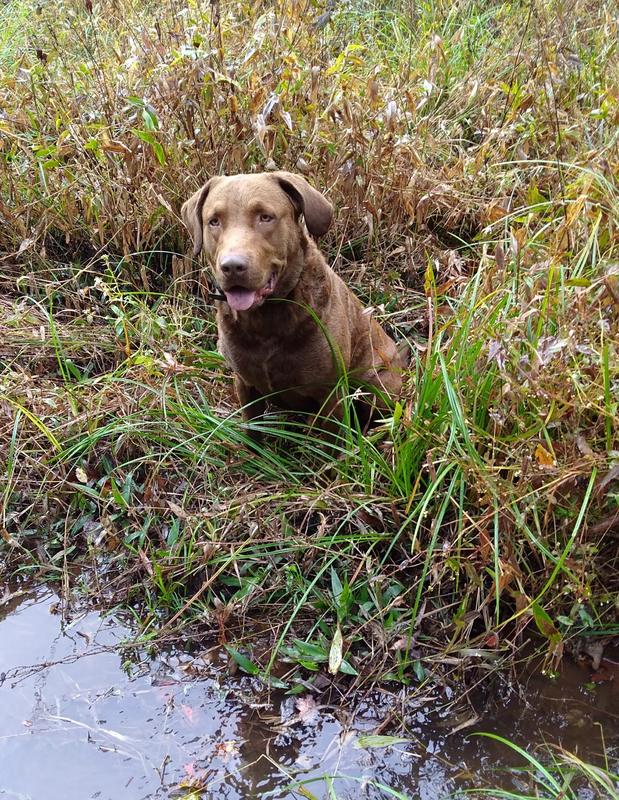 Our club has organized dog hunting days on Fridays, and Saturdays all season. I chose not to hunt opening day, and couldn’t hunt the following Saturday after Thanksgiving because we went up to Maryland to visit family. So, this past Saturday was the first time since the opener. It’s always exciting to hear the dogs run. On opening day of deer dog season, I decided to hit some public river shore for mussels and oysters. I ended up with 5 dozen mussels and 2 1/2 dozen oysters. I’ll be writing about Atlantic Ribbed Mussels in the future but just know they have a bad reputation but are so damn good. Anybody claiming they are sub standard has never eaten them. In early November I processed our hog. That is a literal shitload of work. The first I have ever done. I just refuse to let the tradition die. It used to be a time of community gathering and camaraderie. The whole neighborhood and extended family would go from house to house for the hog killing. I couldn’t even bribe anyone with free meat to help me. The hog was around 350lbs live weight. A big boy. Good, pasture and forest raised pork is hard to find. When you can find a small farm growing it, it’s not cheap and supply has never been reliable that I could find. So, we now have high quality pork and lard for the entire year. My freezers are packed, and even had to find an extra fridge to cure my hams and bacon. And it’s freezer is packed too. I will be growing another hog next year even though it violates the new zoning laws in my county. I decided to go down the rabbit hole of shotshell reloading. It’s something I’ve wanted to do for a while and some extra funds came available so I ordered a couple manuals and a few necessary tools. I’ll be going into detail with this a great deal in future posts. I shoot a 20 gauge, and with the new shot technology out there some of the results are just unbelievable. Reloading seems to be a tinkerers nightmare. There are just too many options and ways to test this and that until your head explodes. The reloading was spurred from such crappy choices for 20 gauge buckshot. Deer dog hunting usually involves buckshot. The 20 gauge choices are really sub par compared to 12 gauge. But reloading can help even the playing field. Expect to see a lot on this subject as I progress. It’s going to be the greatest 20 gauge buckshot test ever in the history of the world. So, Fall is almost over. I hope to get out with the dog hunters enough to put a couple more quarters in my freezer. I haven’t done nearly enough squirrel hunting. And haven’t shot even one duck all season-that needs to change. I have a Va swan tag I hope to fill. And have been taking careful notes on winter trophy catfishing from some guys I work with. So as Fall turns into Winter I’m not slowing down.